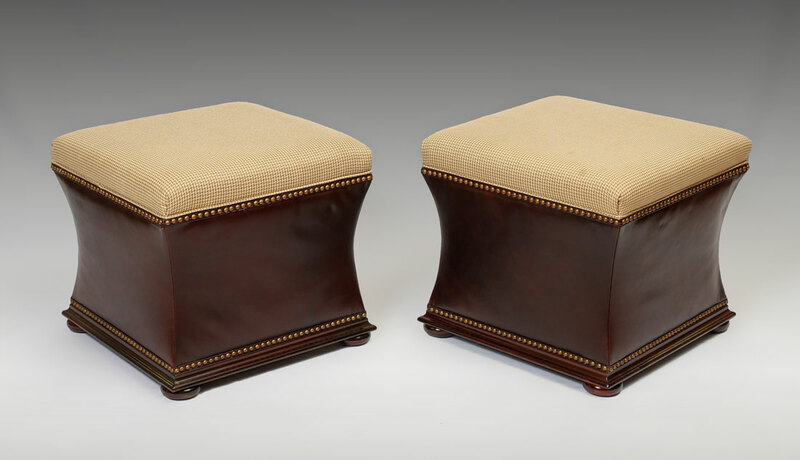 PAIR RALPH LAUREN MITCHELL PLACE STORAGE OTTOMANS: Removable hounds tooth fabric tops, shaped tacked leather sides, from the Mitchell Place collection, Ralph Lauren tag inside top. Measure 20'' h. x 21'' x 21''. 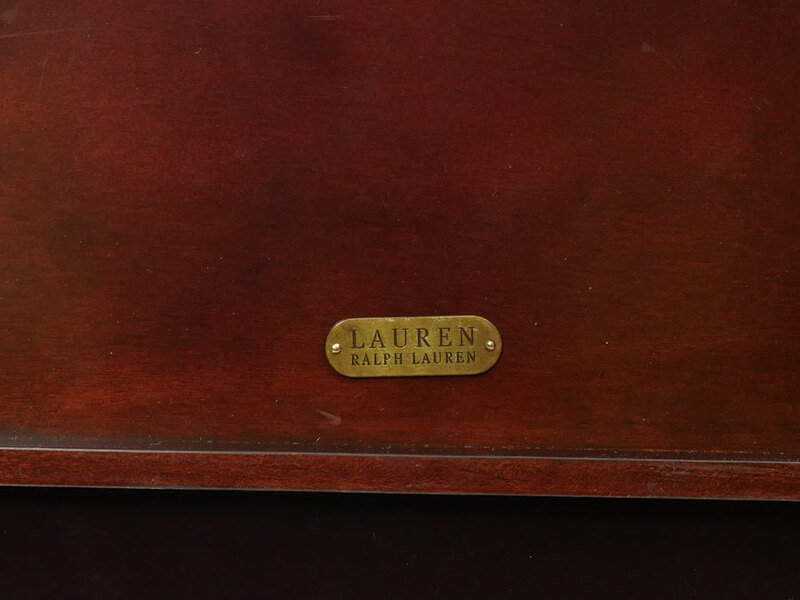 CONDITION: Several light stains to tops.